The debate and discussions on cloud have become more frequent. Today, increasing number of government organisations are showing their willingness to migrate to the new platform. The technology has received further push in the country with the announcement of the government cloud (GI Cloud) that has been christened Meghraj. With the launch of the service the government aims at making rollout of online services faster and easier. The GI Cloud is also expected to bring down the cost of execution of e-governance projects in India. Security, however, remains a key concern. "People are scared to host their data on the cloud because of security issues. 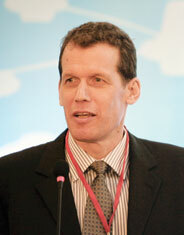 Also, quality of data at input and output should remain the same," said Bernie Trudle, chief technology officer, Cisco. He pointed that governments and cloud operators need to understand the value and data privacy. "All the concerns about safety of data stored on cloud would be washed away if authorities concerned understood the value of their data and that it should not be tampered with," he said. 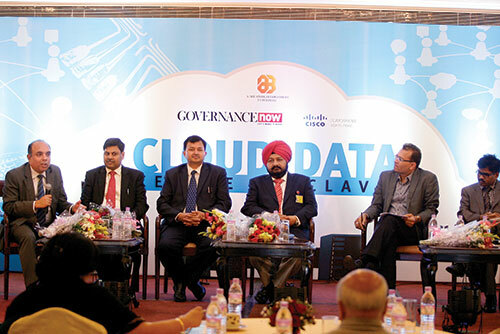 Trudle was speaking at the Cloud & Data Centre Conclave organised by Governance Now in Delhi to deliberate on how line departments could use the new technology platform to streamline their internal operations and provide citizens better user experience. The conclave was attended by experts from the government and industry. Sharing his experience of cloud implementation in other parts of the world, Trudle said that cloud services in the Asia Pacific region have been growing six times more than ICT services and by 2020 it is expected that revenues from cloud services would reach $1 trillion worldwide. He, however, pointed out that issues related to security, compliance and privacy were some of the concerns that the governments across the world are trying to address. He further informed that the traffic of data centres that offers cloud services is already greater in 2014 than traffic of traditional data centres. "The traffic they generate is higher in comparative terms even though data centre with cloud services are only two percent of traditional data centres," he stated adding that, "We are going to be living in a world of many clouds." Talking on the security aspect of a technology during the panel discussion, Surendra Nath Tripathi, joint secretary, ministry of small and medium enterprises (MSME) touched upon the need for looking at user's perspective while designing cloud services. "Small industries work with small capitals, which is everything they have. Data hosted on an insecure cloud may lead them to lose their entire business. So it is necessary to look at the customer perspective when designing cloud services," he said. 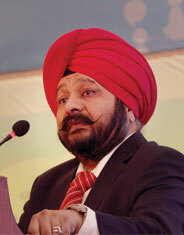 He said that ministry of MSME is developing its own cloud service called Badal to provide cloud to SME sector. "There are 36 million SMEs in India, which need to adopt cloud services and Badal will make it accessible to them," Tripathi stated adding that Badal will also have an app-store of its own. "It would be like I-tunes where one can listen to a song and download it if one likes it. No one is concerned about malwares there. This is how easy to use cloud services should be," he said. Dr Nirmaljeel Kalsi, joint secretary, ministry of home affairs, said, "With the rollout of cloud, project implementation has become efficient. Apps can be hosted on cloud easily. 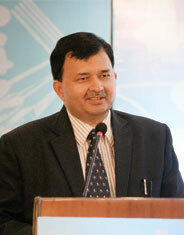 It is good to know that national informatics centre (NIC) is hosting a number of applications on cloud," he said. Additional commissioner, directorate of income tax, Anurag Goyal used his department's model to explain how cloud services could make functionalities simpler. He noted that there are 1,00,000 cases related to direct appeals of income tax pending with various high courts and the supreme court. The department has information being collected in 27 cities, which is being hosted in one location, Mumbai. But can the information be consolidated in one platform, through the use of cloud services? He said that in the cloud platform this is easier since all the data is already in one integrated format. "The industry should be allowed to host cloud-based applications. However, contractual issues pertaining to terms of procurement should be clearly worked out," he said. Golak Simli, principal consultant and head, technology and passport seva project, ministry of external affairs talked about three things that must be mandated by the government departments while moving towards cloud involvement. "The first is the business process. Each department that adopts cloud services should be clear on its own process, department and security regulations, before it does so," he said. The second factor according to Simli is the demand factor. "Departments should asses the demand of the current infrastructure already available to them. The government currently has various channels of infrastructure available to them in the form of NOFN, and SWAN out of which merely 30 percent of network capacity are properly being utilised." "So where is the need to move to cloud?" questioned Simli. The last factor that Simli spoke about was the need to classify data at the department level. He also referred to the government app store, where very few applications are based entirely on cloud. There was a need to do more. Puneet Gupta, director, public sector, Cisco, India and SAARC, said that in the last decade since e-governance has been around, the interface of IT over these years has changed. Cloud as a technology has benefited the private sector a lot. "With project 'Meghraj' this technology is now being utilised by the government also. Cloud will find its place in the government," he said.